Since August 2017, the country achieved a milestone by registering a single digit inflation at 9.3 percent, which was largely driven by the reduction in food prices, particularly maize. This meant that prices were increasing at a decreasing rate, giving consumers more purchasing power and more value for their money than in previous years. The reduction of inflation to single digit was indeed an economic milestone where we noted that food prices were low and the kwacha remained stable throughout the period. In November, however, Malawi’s inflation as measured by the Consumer Price Index (CPI ) slipped back into double digits at 10.1 percent, largely driven by increases in prices of both food and non-food items. Maize, as part of food, constitutes 45.2 percent in the consumer price index (CPI), which measures changes in the price level of market basket of consumer goods and services, now costs an average of K10 000 per 50 kilogramme bag from an average of K5 000 in June 2018 this year. The Malawi Energy Regulatory Authority (Mera) recently also hiked prices of petroleum products by an average of five percent, a development which led to Minibus Owners Association of Malawi (Moam) to effect a five percent adjustment on minibus fares while Electricity Supply Corporation of Malawi (Escom) also announced a 31.8 percent electricity tariff hike over a four year period. Electricity, housing, water and transport contribute 31.5 percent to the CPI. While monetary authority Reserve Bank of Malawi (RBM) argued that the outcome of inflation is consistent with projections, consumers feel marginal increases in non-food items at a time the country had registered economic gains meant consumers’ disposable incomes were severely attacked. 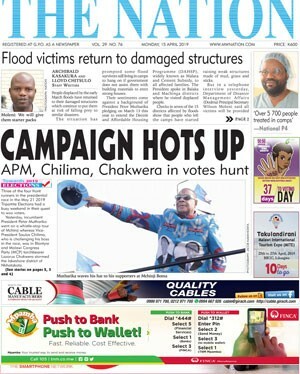 Consumer Association of Malawi (Cama) executive director John Kapito said the single digit inflation and stable kwacha would have translated into consumers savings which was not the case and, therefore, there must be something wrong with the economic packages. 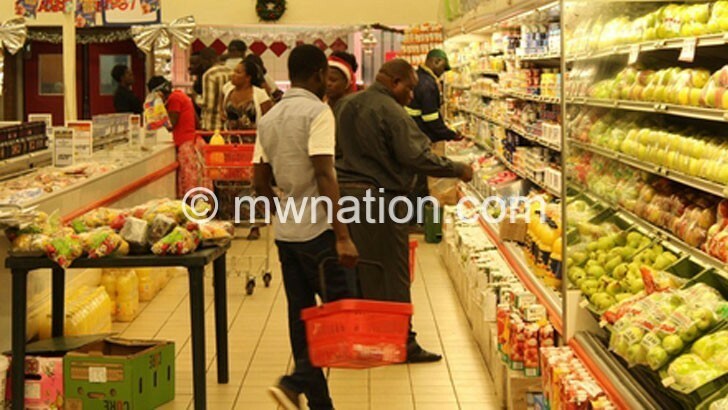 “The single digit and the kwacha stability did not contribute much to the pains that consumers went through in 2018 and it will be wise for Malawi in future to look at the inflation basket and realign it with the realistic challenges that consumers face. “It’s unfortunate that it remains loaded and heavy with food items, especially maize, and this has resulted in having macro-economic gains that are not being passed on to consumers in normal circumstances,” he said. An economist at African Institute for Development Policy (Afidep), Salim Mapila, said the continued rise in inflation rate could have undesirable consequences on the economy, which, depending on the monetary policy tool to address it, could have negative effects on the citizenry. RBM spokesperson Mbane Ngwira observed that all upside risks to inflation envisaged during the September 2018 Monetary Policy Committee (MPC) meeting materialised which included increases in electricity tariffs by 20 percent and fuel prices by five percent. He said overall, inflation is expected to average 9.3 percent in 2018 and 9.2 percent in 2019 (from 11.6 percent in 2017). Ngwira said: “Inflation is expected to continue rising in the next few months and return to a single digit later next year, as agricultural harvest season commences. The forecast suggests that the five percent inflation objective remains tenable in the next two years, despite inflation temporarily increasing [due to increase in utility tariffs, fuel prices and lean period effects].